Kan du inte sätta ihop mönster till ett helt luciatåg till nästa jul? Inkl granen? Vore så härligt! Oj! Tror inte du inser hur mycket tid det tar och jobb det är med att skapa ett mönster… Ännu mindre, till ett helt Luciatåg. 🙃 Du får kika runt på Pinterest eller googla litet så hittar du säkert mönster på figurer/amigurumi som du själv får sätta ihop till ditt Luciatåg. I absolutely love this tree. It’s beautiful. But I am confused on row 5. I cannot figure out what sqm means. Can anyone help me out? Thanks so much! Please remember that I have only made this pattern in Swedish. The translation you write about is not my doing. You are probably using Google Translate. Maybe if you give me the whole sentence, I may be able to figure it out? Do I have your permission to tell the finished product on Etsy? I will of course credit you for writing the pattern, and I will not sell the pattern. Yes it is ok to sell the finished product. Of course, not the pattern. And please, give me credit for the design/pattern. Good Luck! Dutch translation the green part. Het topje en de eerste 2 lagen. Het eerste laagje takjes is klaar. Het 2e laagje is takjes is klaar. The top is finished. Fasten off. The first layer of branches is clear. Fasten off. The second layer of branches is clear. Fasten off. This will give you the general idea of how the pattern will continue to go. The pattern goes in multiples of six. I haven’t gotten to the bottom/trunk yet, but it seems that you just attach yarn at the bottom and crochet in a circle, decreasing so you get toward the middle. That is my guess, anyway. It was helpful for me to write it down for myself, so I figured I would publish it here for other English speakers. This is my favorite tree that I found while searching for patterns, so I was determined to translate it! Merry Christmas! Hi! I hope you see this and are able to respond. I’m not sure I’m understanding your English translation of the pattern. In row 2, what is ‘tr’? In English crochet terms this stands for a treble crochet stitch. But in row 1 you have ‘4 sc (single crochet) in the ring’? Dear Sonya, I have not made an English translation of this pattern. It is in Swedish. If you read my page with a translator please understand I have not anything to do with the translation. It is made by a computer. If you scroll the comments however, there are other crocheters who have made translations to Dutch and English. What pattern are you looking at? Hi ! ♥ i have a little problem about your pattern. First thank you soo much for doing that pattern, i love this christmas tree! and then sorry for my bad English, i am French. or should i do ”2 dc and 1 sc” for 3 times (so we get 6 dc) ? My pattern is in Swedish and the translation is made by a ”machine” if you have used the translation button or Google Translate for example. Too often the translations does not make sense. As you are French, why don´t you translate it to French instead. Maybe then, it will be easier for you and you are more familiar with the crochet terms. Best of luck! Hi Sara! Yes, the =6 dc means the total of dc you’ll have made on that row. Så fin! Jag har testat nån annan gran men den blev inte bra. Undrar bara ungefär hur hög den blir? HI There I saw your explanation for google translate but still don’t get how to use it? Do I have to get the pattern up in a different page than this one to translate it. Hello! Very cute pattern. I just have one quick question: In round 11, it states ”18FM”. What does ”FM” stand for? Thanx! I have no idea?? Must be a mistake as Google translations sometimes creates it’s own language! Hello Stephanie. I was wondering did you work the pattern out fully in English & if so did you write it down? Could I possibly ask you to email it to me please if you did. It would be very much appreciated. I would REALLY love to make this! Is there any way I can get an English translation? Thanks it’s SO beautiful! Unfortunately I don’t have a blog yet.. Should I post it right here or do you want me to send it in an e-mail to you? I’m happy you like my work! 😃 I wish you had contacted me before you made the translation! But I appreciate you did not publish it somewhere on the net! The only place a translation of my work should be published is in my blog! Just found this! Very cute, gonna get the wool and make as gifts for next Xmas! Thank you for sharing! Hi. Thanks for a beautiful pattern. First time I’ve used google translate – so easy, thanks for the suggestion. Now off to make some for my table for my family celebration. Har du nått tipps ? Oj, då har du nog tyvärr gjort något fel… För så ska de inte bli att se ut. Kanon snygg gran, har redan börjat virka den. Du tror inte du hade kunnat skriva ner mönstret för resten av granen oxå? Tack för en underbar sida har virkat många av dina saker bla ett gäng mössor som blev otroligt uppskattade. Hi! This is the best Christmas tree pattern ever! Have made a few changes to base of tree for myself, but yours was perfect. Thanks so much for sharing. Hooooo, what a beautiful Christmas tree! Thank you! A Merry Christmas to you too! Hi! I’m Ricky from Tokyo. I really liked your tree. Thanks for the nice tutorial. Although I don’t understand Swedish, Google helped me to translate tha page into English. So I followed your instruction and made the tree myself. Somehow it turned out a bit different from yours, but i’m happy how mine turned out. Come and see mine if you’d like. I also posted mine on FB. Häftig din gran blevI I love the way you’re tree came out! Hej Steffi och välkommen till min blogg! 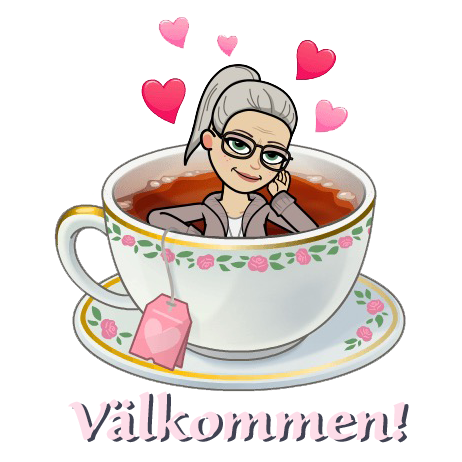 🙂 Lycka till med din gran och titta snart in igen! Den var verkligen fin! Har gjort en liknande efter ett engelskt mönster för några år sedan, men det är ju toppen att du bjuder på ett svenskt! Verka snäppet bättre också, ditt mönster! Otroligt fin gran!! Får väl ta och virka en sån till jul. Fantastisk fin gran! Hann längta efter beskrivnigen från första bilden du la upp till beskrivningen las upp! 🙂 Underbar! Nu ska jag göra den! Tack du givmilda människa som delar med dig!!! God väntan på julen tillönskas! Tack för mönstret! Jag har absolut inte tittat på beskrivningen utan gjorde en egen variant som kan betecknas som bra, fast jag får repa upp den och göra den lite bättre. Men tack tack tack för inspirationen. Utan den hade jag inte kommit på att göra en. Har spridit länken vidare till pysseltokiga virkare, hoppas det var okej. tack för att du finns! Åh så söt! Denna tror jag att jag skall virka! Tack!! Hej Henrietta! Vad roligt att du hittat hit till min blogg och att du tycker om min lilla julgran! 🙂 Välkommen! ”This row crochet in the back loop on Lap 6: 12 am ” I understand what back loop means but what is 12am? Unfortunately, Google Translate seems to be playing a prank on you! ”Crochet 12 sc in the back loop of row 6”. Best of luck with your tree! Fin gran, precis vad jag letat efter :). Jag läste igenom mönstret och jatror att jag hittat ett litet slarvfel pvarv 18. Där står ‘3 fm i nästa 2 maslokorna’. Den sista 2:an ska väl också vara en 3:a, eller hur? Sen undrar jag hur du gjorde grenarna när de är större. Gör du dubbelstolpar då? I flera maskor? Hej Susi och välkommen till min blogg! Det verkar vara många med mig som saknat ett mönster på en virkad julgran. Tack för att du uppmärksammat att en 3:a blivit en 2:a på varv 18! 🙂 Detta är nu ändrat. Hela granen är virkad med fm – inte en enda stolpe. När jag gjort grenarna ”litet längre” så har jag virkat ett extra varv med fm utan att göra någon ökning på det varvet. Lycka till med din gran! Men fet jag undrade över är hur du gör själva bågarna i uddkanten större? Där är det ju stolpar i de vanliga bågarna. Aha, i bågarna!? Varv 6 och 7 gjorde jag istället för 3 st i en m, 2 st i 2m = 4 st. På varv 8 gjorde jag 2 st i 3 m= 6 st. På varv 9. använde jag mig även av dst: 1 st + 6 dst + 1 st fördelat på 4 m.
I’m sorry.. I saw this on Facebook. I saw mention of Google Translate? What is that? I loved this tree and have Two very special men I’d love to make this for…. but I need a pattern. Thank You. If you google on google translate, you will find it. It will help you translate the pattern to your language of choice. Thank you for the Christmas tree pattern. I love it and will be making one soon. I also like the Elves you have made and they remind me of my homeland, Finland. Would you have a pattern for them. I would like to surprise my mother with some of them. Tack så hemskt mycket för beskrivningen av den fina julgranen. Jag sätter i gång och virkar den.